Monday & Wednesday: 10 A.M. to 1 P.M.
Thursday: 2 P.M. to 5 P.M.
Park in Lower Lot. Entry Door is off Parking Lot. 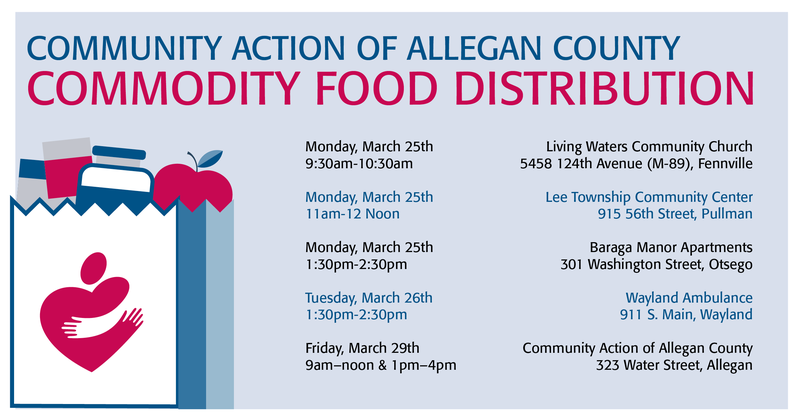 (The Allegan County Central Food Pantry is a non-profit organization. It is designed to purchase and distribute food items only).